ECO-SPAN® offers comprehensive engineering tools and technical support to expedite the concrete arch design process and reduce engineering costs. ECO-SPAN® Instant Design is an intuitive, quick way to tell us about your project. The form includes many aspects of three-sided bridge best design practices built in to guide users to the most effective use of a precast arch at their site. After you complete the form, we will send complimentary project-specific application drawings within a few hours. Budget estimates are generally available within one business day. Site plans and additional information or questions may be sent to info@eco-span.com. For assistance please call 800.241.0925. These charts provide open area of each span and rise combination for comparison with project requirements. Modeling with HEC-RAS bridge editor, HY-8 or other software? These tables provide specific coordinates, ready to go. Designing a foundation for a precast arch? Find reactions and estimated width in these charts. Additional services are available to assist with bid drawing preparation. Let our design center create a precast arch system that will fit perfectly and hold up to your specific demands. Our designers will create a funtional precast bridge to quickly fill your needs and requirements. 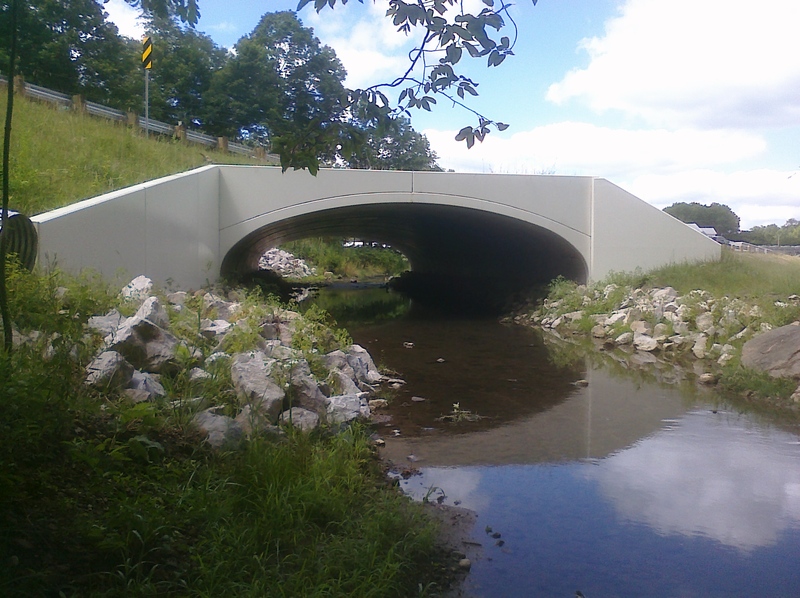 We can design a custom precast culvert to allow you a quick and easy installtion at your location.